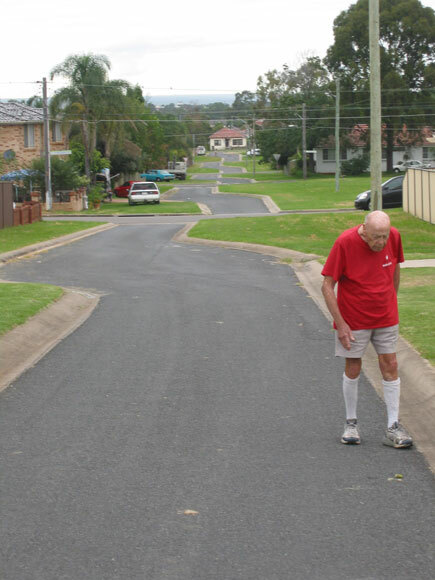 Hardly anyone now uses this street at the former corner of The Horsley Drive and River Avenue, Fairfield East. 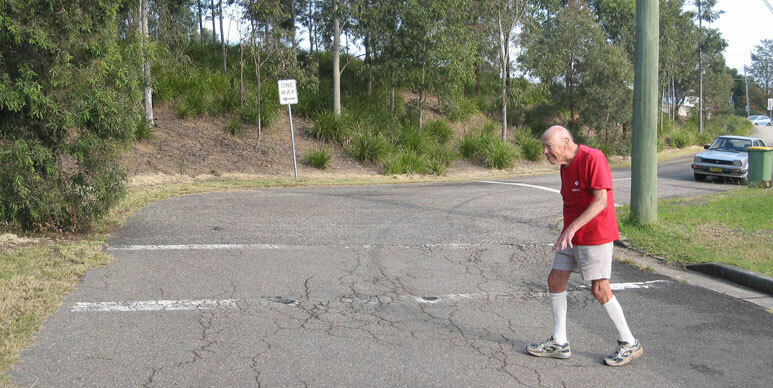 But it still boasts its stop line and pedestrian crossing to nowhere. 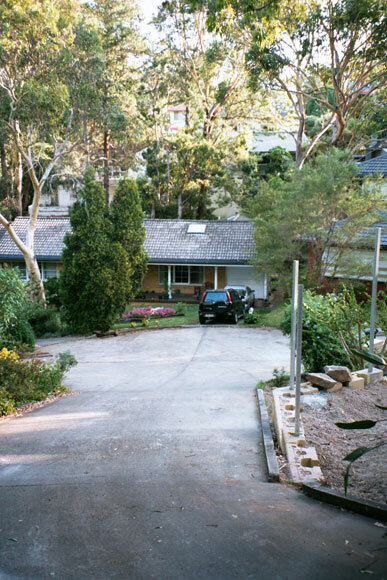 As the (drunken) crow flies: Eliza Street, Fairfield Heights. 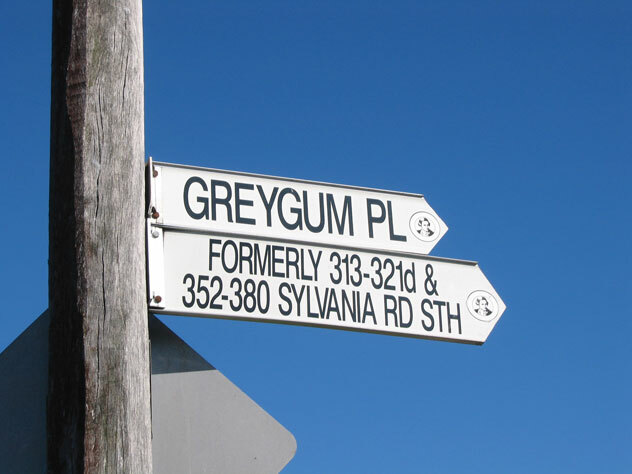 How long did it take you to move from 321d Sylvania Road South to 5 Greygum Place? No time at all! 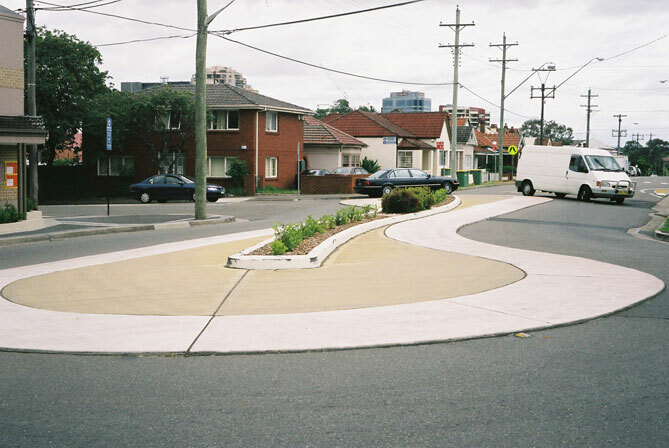 I bet that your suburb doesn’t have a pear-shaped roundabout, like ours in Harris Street, Harris Park. 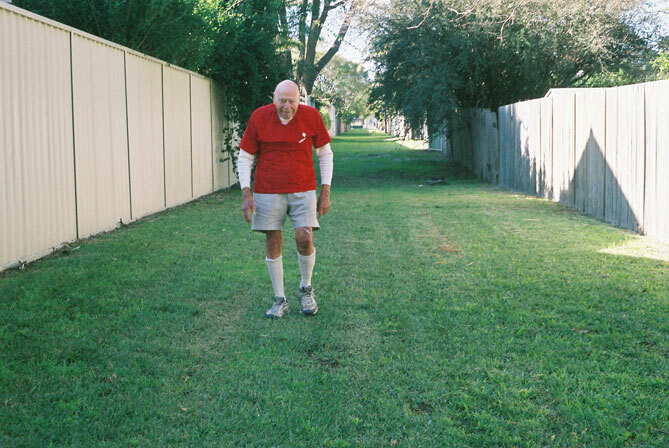 Off Virginia Street is this grass lane which doesn't lead to anything. Cars have more sense: they don't enter it. 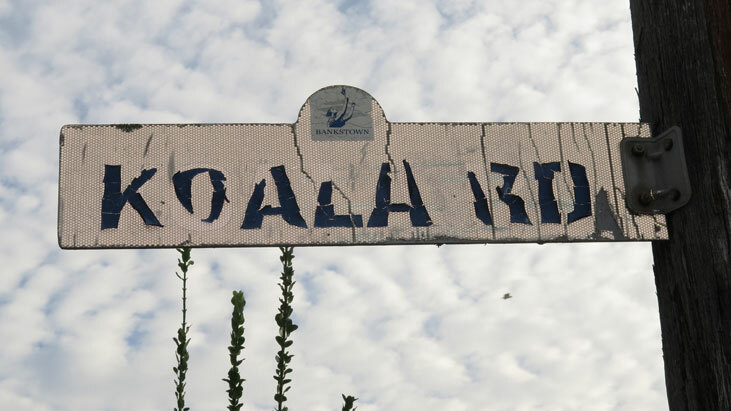 A koala's diet is almost entirely gum leaves, so this gum is used for letters on this Lakemba street sign, even if nowhere else in Sydney. 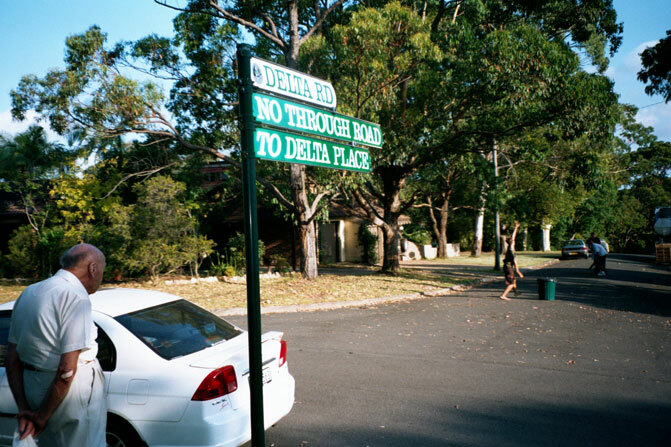 Practise your cover drive in Delta Road, Lane Cove. 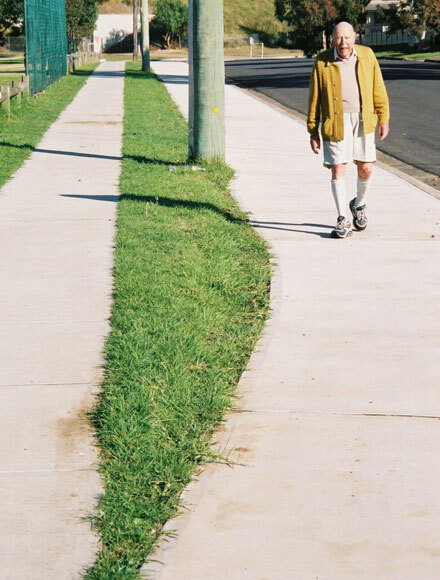 ...there is a steep hill behind him. 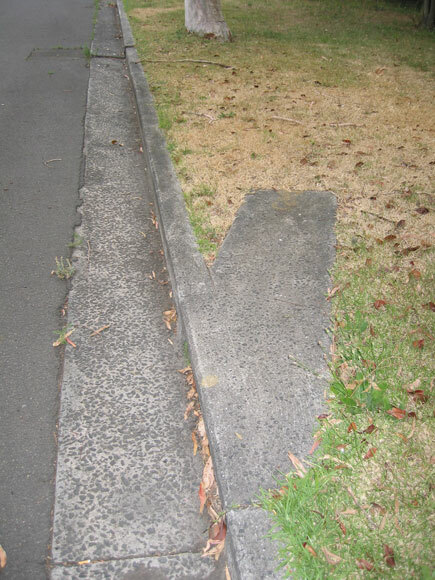 Kenneth Street, Longueville, claims a tie with Vista Street, Oatlands, for the title of Sydney’s shortest pathway. We applaud divided roads to separate oncoming vehicle traffic from us, but we’re not entirely convinced of the need for divided pathways, like here in Rees Street, Mays Hill. 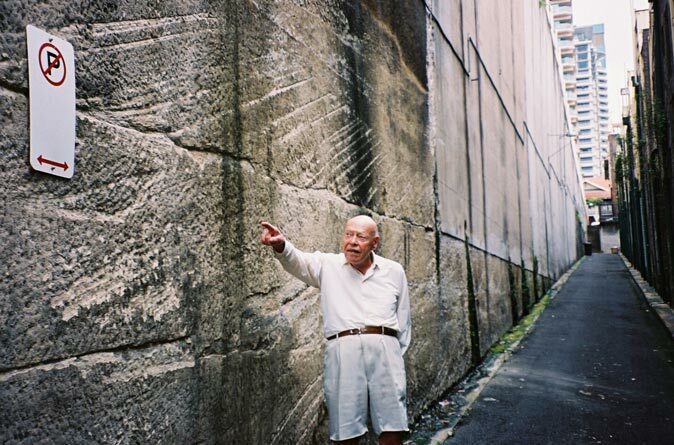 How could you get your car into Lance Lane, Millers Point, even if you wanted to park there?